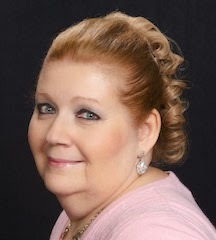 My guest today is Susana Ellis, who is here to share a little something on camp followers. 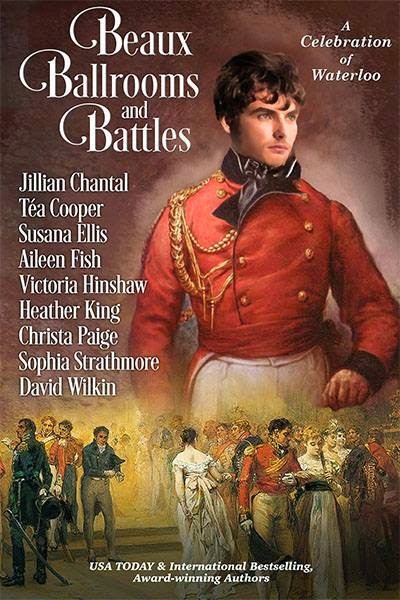 Do read on to find out more about a new anthology that is released today, Beaux, Ballrooms, and Battles: A Celebration of Waterloo. Camp followers were unrecognized people who accompanied the army. While a limited number of officers’ wives were allowed to accompany their husbands—about six per company—and were entitled to half-rations, many others did so as well. “Unrecognized” followers received no official support and their expenses had to be paid for by a soldier or earned in some way. No, they weren’t all prostitutes, but they were looked down upon by many in the hierarchy due to their scandalous dress or behavior or the menial tasks they did in order to survive. But let’s face it, the army life is not for the feint in heart. The officers’ wives, while they may have slept in tents next to their husbands and not out in the open, still had to deal with hardships, such as the heat (and women couldn’t strip down as men did), mud, dangerous river crossings, food shortages (even if you had money there might not be any to buy), disease, and, of course, being killed or captured by the enemy. And, of course, the officers’ wives were often required to do their own cooking and such—unless they brought and paid for servants. For this reason—and because only so many officers’ wives were “recognized,” many wives either stayed home or set up housekeeping in relative comfort in Lisbon or Salamanca so that their husbands could visit. If a husband was killed in battle, it was not uncommon for her to remarry shortly afterwards in order to keep the promised half-rations. One woman was married six times during the Peninsular War. These may be officers’ wives and families who came anyway, who had to be funded entirely by their husbands, often staying with local families. Or they might be the wives or mistresses (one man had both) of enlisted men, who usually had a much more difficult time (see below). Many of them could be categorized as tradesmen, offering their services as laundresses, cooks, sutlers (people who sold their drink and other wares, often out of a wagon), and prostitutes, or a combination of the above. Some even took civilian jobs—as the soldiers often did when they were between battles. Many of these were Spanish and Portuguese women picked up along the way, either as wives, mistresses or servants. Of course, you can imagine how hundreds of camp followers and their horses and baggage added to the rest of the company and their baggage, weapons, horses, etc. could make travel problematic. Technically, all the wives and camp followers were supposed to follow the army proper, but few did. 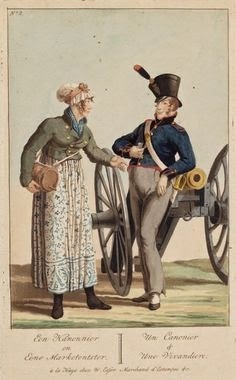 Both Wellington and Napoleon would like to have banned women entirely from the army, but neither was able to. Too many believed camp followers necessary for maintaining both comfort and morale. If there were no sutlers hawking their wares, then someone else would have to do it. This account was only published in The Dewsbury Reporter in August of 1923 after being found among a relative’s effects. I had no certain home, no parents, no kind friends with whom I could advise, and alas, I knew no Heavenly Guide. Ho! How I wished for a loving mother to counsel me. Catherine learns that her husband will be arriving at Stenning, near Chichester, so she and another wife of the regiment, with the contributions of neighbors, took a wagon to an Inn and the innkeeper who had formerly lived in Leeds, recognized her and provided a chaise to within 12 miles of Chichester. With her baby, she and the other woman walked the rest of the way, being met by two soldiers on furlough sent by Catherine’s husband to meet her. She finally meets her husband both his unit is soon to be sent to Lisbon. 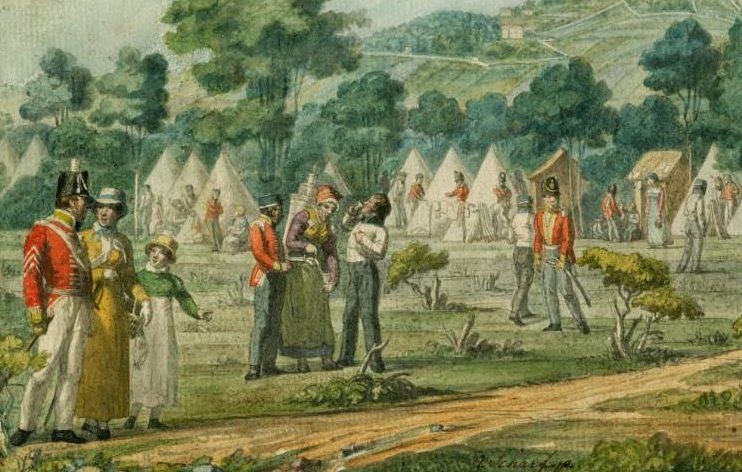 Though she has not gotten a ‘to-go’ ticket, the battalion’s lieutenant colonel is persuaded to write to his general and is given permission to take Elizabeth with the regiment. My child lived only six weeks after his father left me in camp. I was penniless, and without a bed save the naked earth on which to lay. All our baggage had been ordered to be sent on board, reserving only a change of linen: these articles were never recovered, for the vessel returned to England, and after so long a time the expense attending their restoration would have exceeded their value. A captain in Lisbon who knew her husband advanced Catherine the money to bury her boy. She would bury two more children in the Peninsula in as many years. During her lifetime she gave birth to twelve children. This points up how small a world it was, who Catherine meets such as the innkeeper and the captain. It just so happens that two officers of the 34th , an Ensign Bell and Lt. Sherrer both wrote memoirs of their time with the regiment in Spain. Much of what Catherine relates is confirmed by the two officers in their stories. One such coincidence is Mrs. Skiddy. That Mrs. Skiddy, an Irish sergeant’s wife ran the women’s society of the regiment. 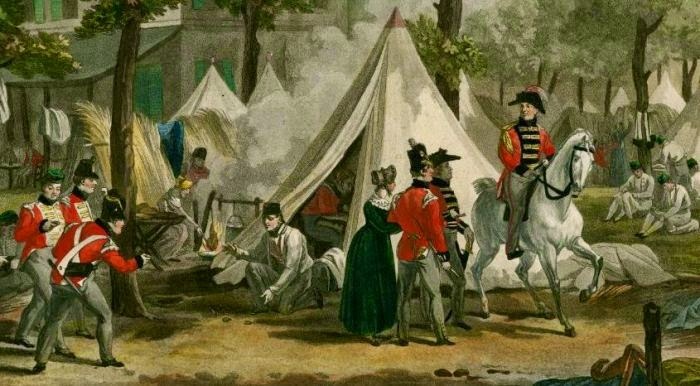 One can imagine Catherine landing on the beach in Lisbon and left on her own to find out ‘how things worked’ in the regiment for women who were not officially recognized. The Mrs. Skiddys helped make the transition easier. During her time in the Peninsula, Catherine and her husband are deathly ill more than once. In Catherine’s case, because of her experiences—and survival—she becomes something of a nurse. In fact, at one point the regiment’s colonel makes Catherine’s husband the “Ward Master,” caring for the sick with Catherine and tending the regiment’s provisions. Here she is, on the battlefield, asked by her colonel to remain with the battalion [probably as a nurse for the expected wounded] with her child on her back. I find that truly amazing from the colonel’s request to her child present with her. Her adventures are too many to relate here, but her husband was captured in 1813. She was told he was dead and returned to Batley, only to find out a year later that he was alive. Catherine lived to be 79, dying on April 20 1857. Her husband died just before the birth of her twelfth child. One randomly-chosen commenter will receive a Beaux, Ballrooms, and Battles mug. Written content of this post copyright © Susana Ellis, 2015. Oh bravo, Susana! Very informative. I can't wait to read your novella. Thank you. A superb article. I thought so too; thank you! This has certainly whetted my appetite! Great article, Susana! And thumbs up for the mention of Juana Maria de Los Dolores de Leon and Harry Smith. I first read about them in Georgette Heyer's The Spanish Bride. Who says you can't learn history from a romance novel? Thumbs up for your comment too! Thank you for hosting me, Catherine! I'm glad you enjoyed the post! Isn't it fun to learn all these things? Mimi, you are the random winner of the mug. Email me your snail mail address at barbiesa@mac.com. Congrats! It was a pleasure and congratulations to Mimi! Can I just make a correction. There were no restrictions on the numbers of officers' wives. The restriction was on 'other ranks' and NCOs. Up to 6 wives per company were allowed 'on the strength'. A regiment had 10 companies, nominally of 100 men per company but usually fewer. So that would be 60 'official' wives per regiment.